The folks at Painless wiring know that electrical wiring in cars and trucks has always been something that only brave, or highly skilled mechanics wanted to tackle. Painless wiring kits give you a head start because of easy-to-use modular connectors, sensible color coding and neatly organized looms. We offer 3 complete wiring harnesses designed with restoration and body tub replacement in mind. Eliminate old ratty wiring with tape patches, cuts, pinches, and sporadic current delivery. NOTE: Harness is NOT equipped for computer controls nor is it engine specific. Water temp sender, oil gauge sender, alternator, starter solenoid, tach lead, ballast resistor and fuel tank sender are NOT pre-terminated. Excellent product. I rewired my '79 CJ-5. As others have said the 100 plus page manual is the real star of this system. 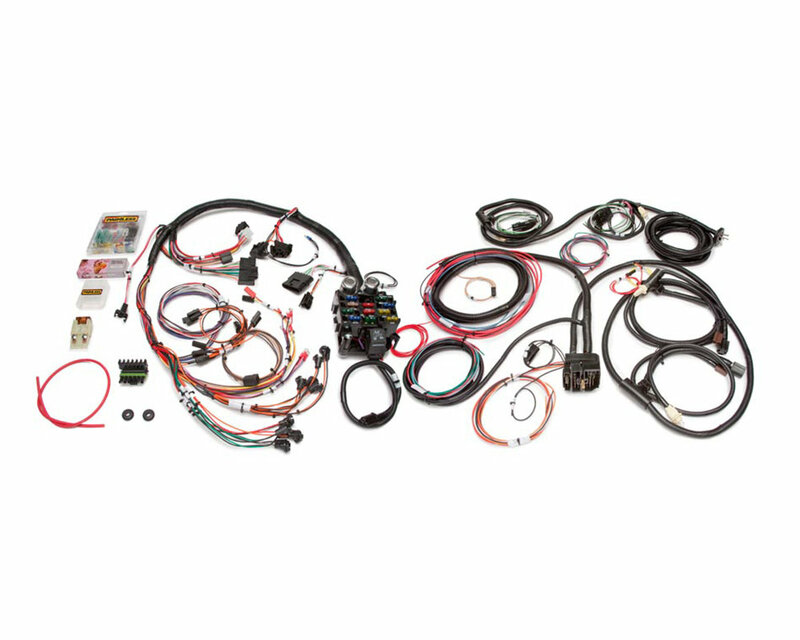 It explains in detail (laymen terms) with multiple pics how rewire your jeep simply and efficiently as well as giving an education on how your Jeeps electrical system works. I am not a mechanic and was able to rewire the jeep with only a few hiccups. I liked this kit with all the terminals and connectors included. It saved a lot of time although it is more money. I do recommend buying then appropriate tools needed. I also purchased extra loom which was needed. I would and probably will buy their products again. If you are anxious about rewiring just try this kit. It works.